This course focuses on Timbuktu, home to Islamic scholars, students, merchants and manuscripts, as well as object of desire for the western imaginary. It will explore the historic trajectory of the city as well as its entanglements with European exploration and colonialism, culminating in the iconic image of the city today. It then deals with the history of its manuscript libraries and collections, and the projects set up for their conservation and research as well as the 2012 occupation of the city, the fate of the manuscript collections and the ‘smuggling’ operation of a large number of manuscripts to Bamako, and the challenges they now face. The Fondo Kati library will illustrate particular histories, genealogies and knowledge transmission practices. The course ends with a focus on the lives and concerns of women in the nineteenth and twentieth centuries. Jeppie, S. and Bachir Diagne, S. (eds). 2008. The Meanings of Timbuktu. Cape Town: HSRC Press. Krätli, G. and Lydon, G. (eds.) 2011. The Trans-Saharan Book Trade: Manuscript Culture, Arabic Literacy and Intellectual History in Muslim Africa. Leiden: Brill. English, C. (2017). The Book Smugglers of Timbuktu: The Quest for This Storied City and the Race to Save its Treasures. London: Harper Collins. 2008. Timbuktu: Script & Scholarship. Prepared by the Tombouctou Manuscripts Project and Iziko Social History Collections Department. Cape Town. Susana Molins-Lliteras is an African Humanities Programme Post-Doctoral Fellow based at the Archive and Public Culture Research Initiative and the Historical Studies Department at the University of Cape Town. 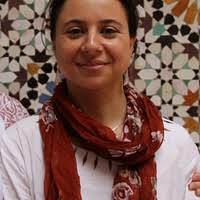 For the last decade, she has been a researcher with the Tombouctou Manuscripts Project (www.tombouctoumanuscripts.org), and has been an integral part of the Project's events and output. Her current book project is based on her doctoral dissertation, which presents an archival biography of the Fondo Kati, a private family manuscript collection in Timbuktu and its links with medieval al-Andalus and present-day Spain. She has published on the archives of Timbuktu and on the social history of a West African Sufi movement in South Africa.